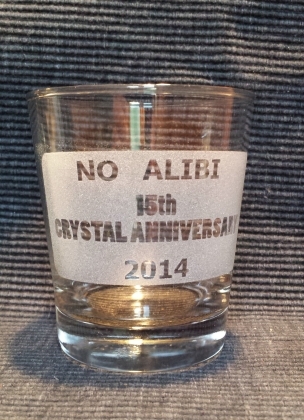 Happy Crystal Anniversary -- No Alibi is 15 years old! Rallymaster wrap-up: Thanks to everyone for a fantastic 15th anniversary No Alibi. 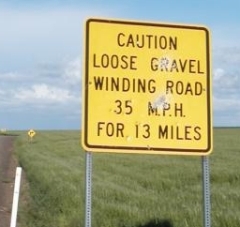 I think we captured the flavor of the first years of this event with our dash across much of the state, using some favorite routes as well as some new roads. 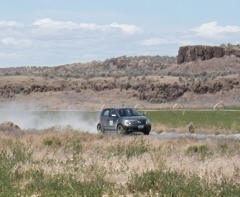 The 2014 No Alibi TSD Rally was a 500-mile, two-day rally that explored Central and Eastern Washington's rolling scenery, pleasant weather and smooth roads. It's hard to decide on a favorite section. Weigh the drama of Hole in the Ground versus the forest of Canyons. 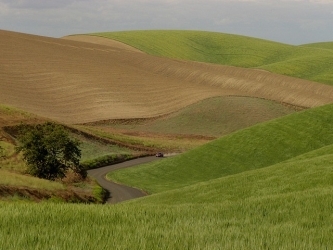 The curves of Telford or the dramatic descent of Rock Island Grade? It's hard to pick just one. Being able to explore the routes for the event and then run them all while measuring means Marvin and I were able to experience them four times, and I'd be happy to go back again. Start Location: Shilo Inn, Moses Lake, WA, on the east side of town. 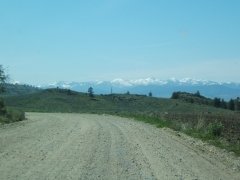 This is a different start location from previous events originating in Moses Lake. Overnight: Spokane, WA. Hotel and dinner information in Detailed Information below. Event Finish: Sunday afternoon, Walla Walla Point Park, Wenatchee, WA. Start order will be posted on Friday, June 6. Pay for your entry early for best shot at your preferred car number. The ranks fill quickly and we don't seed the start order based on beauty, style, reputation or any other factors. Don't delay, register today! Here's a Google map of important No Alibi 2014 locations. 1530 First car arrives at finish in Wenatchee, check in at MTC and enjoy snacks, stories and final results. Pacific Coast Challenge International Rally Series: No Alibi 2014 is proud to serve as Round 2 of the PCC series this year. Your participation and finish position in No Alibi earns points in the series. We encourage you to contest all PCC events. Complete information on the series is available at the Pacific Coast Challenge Website.